I had a friend over a few weeks back and asked her if she wanted to go do some photography location scouting in the downtown of Lake Charles, LA. She obliged and we hopped in the car. 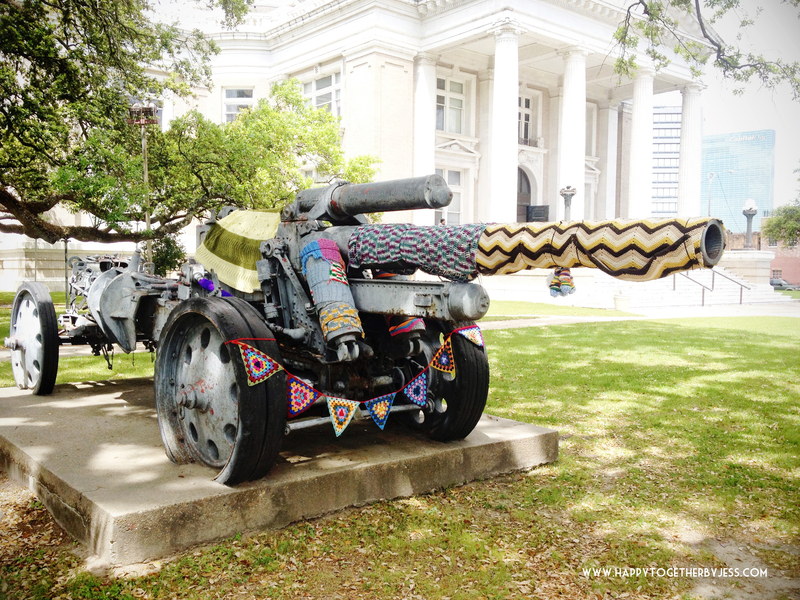 Much to my surprise I discovered that the area had been yarn bombed! I was so excited! We had our little ones with us, so she sat in the car with them while I hopped out and snapped a few pics on my iphone. I meant to make it back with my big camera, but that never happened, so I’m sharing these today. I was most impressed by this tank that was decorated. Lovely isn’t it? Light posts and poles were also covered along the streets. It looked so pretty. I’m hoping they do it again next year. We have one more year here before it’s time to move again (three years goes by fast! ), so it would be neat to see before then. 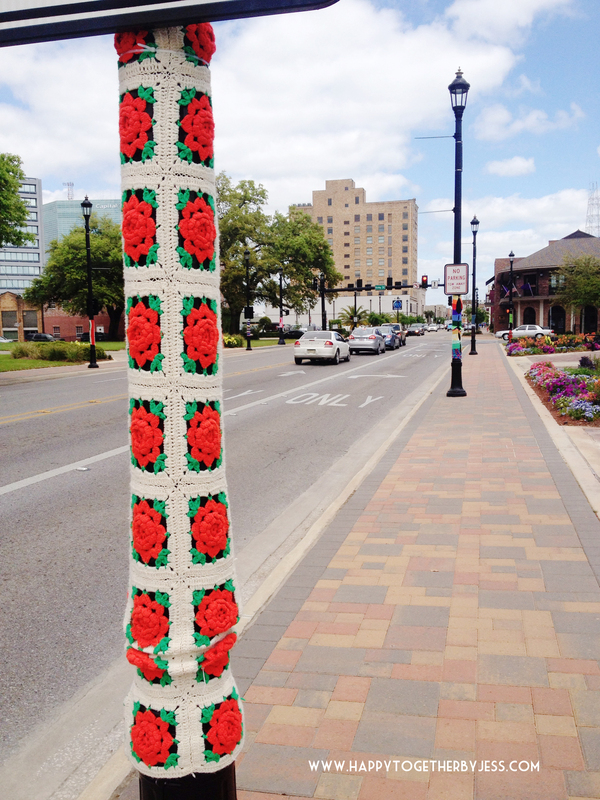 Have you even seen yarn bombing in your local area? I’m so jealous! 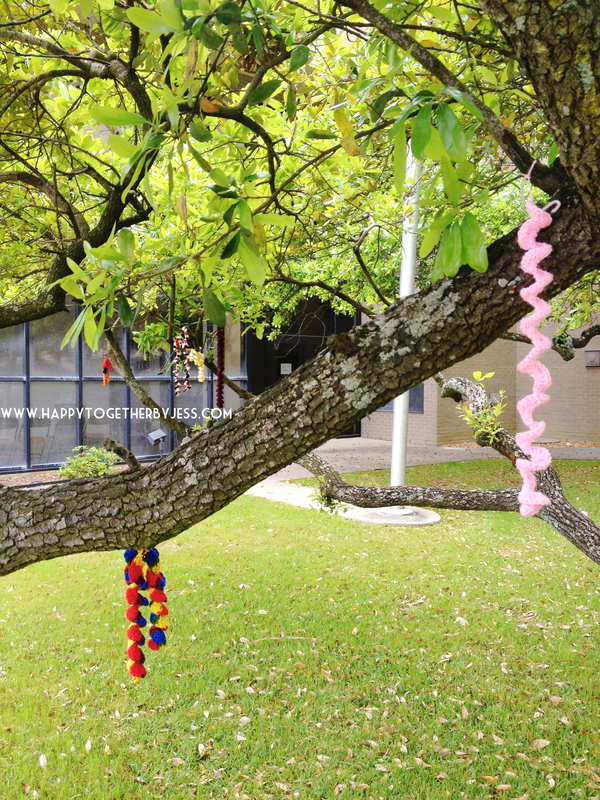 I’d love to find a yarn bomb!